The models of this height-category are among Petrof customers’ favourite because of their optimal ratio between height and performance. They offer dynamic diversity and excellent sound. Every pianist will, in this height category, find a design that will appeal to them. The finish of the G1 combines classical and modern styles, complemented with decorative elements. The piano has a romantic, rounded sound, which is typical of Petrof pianos. Only the best European materials are used, which is proved by European Excellence (EEX) certification. Nearly 80% of the manufacturing processes are done by hands of experienced workers of this family-run factory. 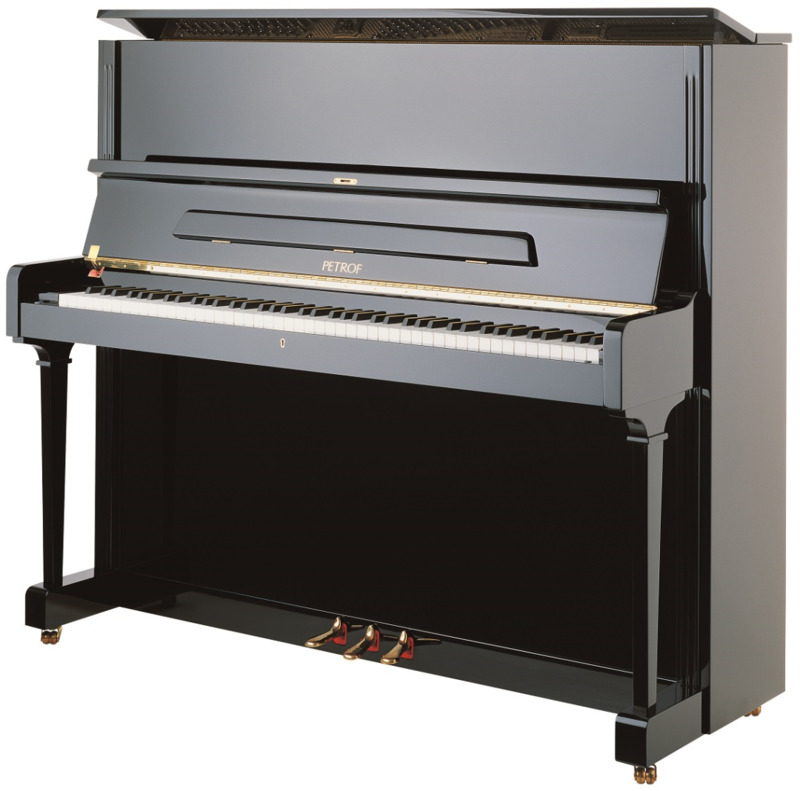 Instruments are built mainly from components produced directly in the Petrof factory. This brings the best possible quality control. The Petrof company is considered the main innovator in this industry, thanks to the work of all experts of the technology centre in co-operation with the research and development department established in 1954. This model is suitable for both domestic and educational work and play, for the training needs of professional players, but also for musical ensembles. Its sound will also please audiences in clubs. Thanks to its reliability and flexibility of use, the model is a bestseller among Petrof upright pianos for customers worldwide. In summary: this model is handmade in the Czech Republic; it has a European Excellence (EEX) certification; Renner hammers; optional Renner action; Petrof original soundboard, bridges and strings.